Water for sale (Indonesia) | Dominic J. Nardi, Jr.
Back in 2005, the Indonesian Constitutional Court ruled that Jakarta’s water privatization scheme did not violate Article 33 of the Constitution, which mandates that “land and water and natural resources… shall be controlled and shall be used for the greatest prosperity for the people” (see decision here; for more about water rights in Indonesia and the case, see this law review article). However, some NGOs remain dissatisfied with the situation. 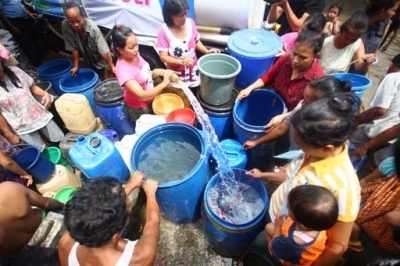 Recently, the Coalition of Jakarta Residents Opposing Water Privatization (KMMSAJ) filed a lawsuit against city water operator PAM Jaya and its partners. According to The Jakarta Post, activists complain that the company charges excessive rates that price the poor out. One interesting aspect to the case is that Jakarta Governor Joko “Jokowi” Widodo has already announced that he hopes to buy French company Suez Environment’s 51% share in one of the partners, Palyja. It will be interesting to see if his intention influences the court and the interaction between his administration and the litigants.